The Business Cycle Economics Lesson! Allow me to introduce myself- I'm Mrs. P and my main goal with all my lessons is student engagement! At every turn, I load my lessons with relevant questions that connect what students are learning to the real world. My favorite part of this lesson is when students "diagnose the US economy" and put that business cycle knowledge to the test! They love chatting about the different indicators while they research- and they love guessing where the economy will be by the time they graduate! 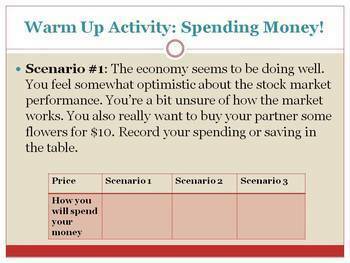 I can't wait for you to see your students come alive as they understand and then research the business cycle. 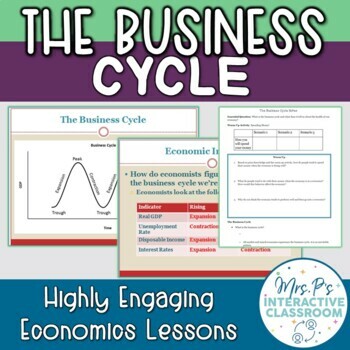 This lesson will teach your students all about what the business cycle is, the 4 phases, and what indicators economists use! 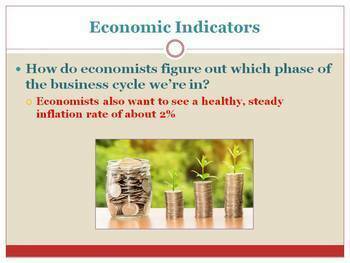 In addition, there is a research activity where students find current US economic performance across 7 indicators and diagnose our current business cycle phase. For this lesson, along with lecture notes, I've included an engaging opening activity (no prep required!) and critical thinking opportunities throughout the lesson. 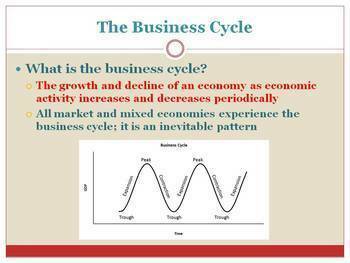 I usually teach the Business Cycle lesson in one 50 minute class period.